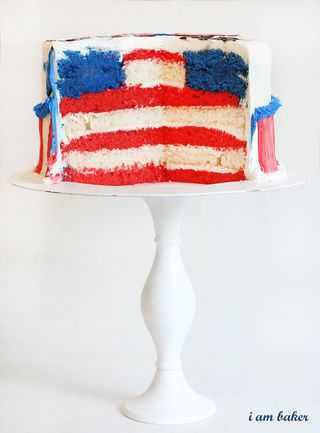 I love the colors of Red, White, and Blue… and love being able to incorporate them into a cake! 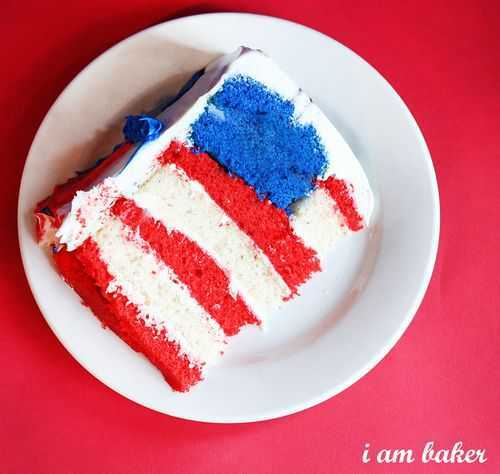 I especially love being able to celebrate this great nation of ours. 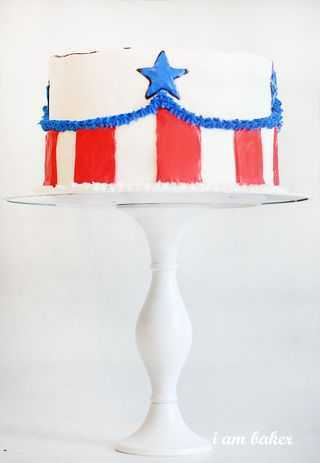 This design is pretty old school, as my close personal friend Buddy the Cake Boss likes to say. And when I say close personal friend you know I mean total stranger. The blue border and white bottom border is just piped stars… very Wilton old school. Which is really all ‘new’ school to me since I just started doing this about a year ago. I wanted to add a fun detail to the top… I just piped out a design I saw in our local newspaper last week. Thats all, thanks for coming by! 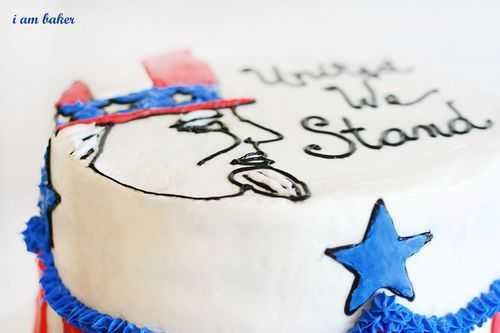 You know I cant make a cake without something weird inside. 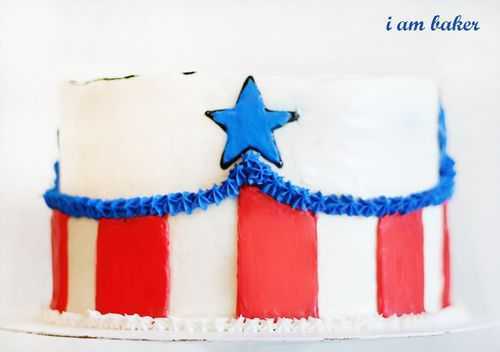 A flag Surprise Inside Cake! In all honesty… I think I overshot the basket on this one. 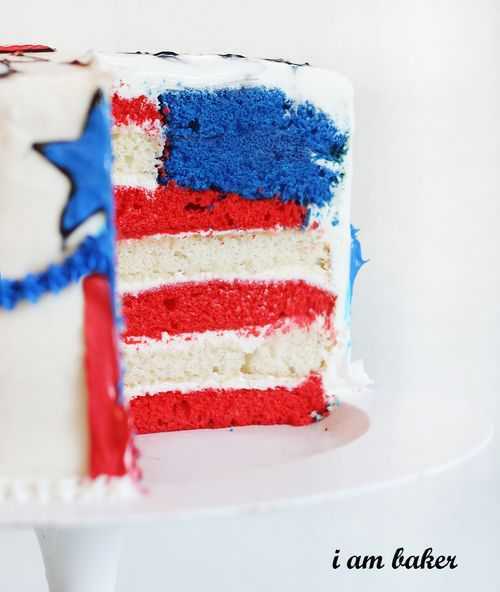 In the future I would make the internal flag cake, but with little to no decoration on the outside. 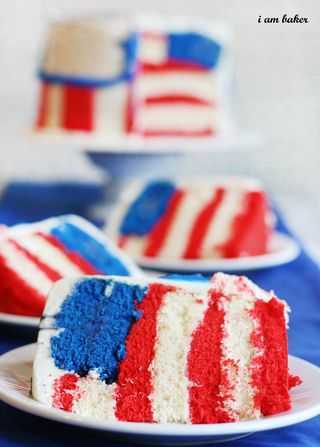 Or, make the decoration on the outside, but just do white or red velvet on the inside. want to tackle a cake, you can also try out these super easy and fun pancakes! Or fruit sheet cake. The possibilities are endless! I think your decorations outside are fabulous, too! You are so talented! 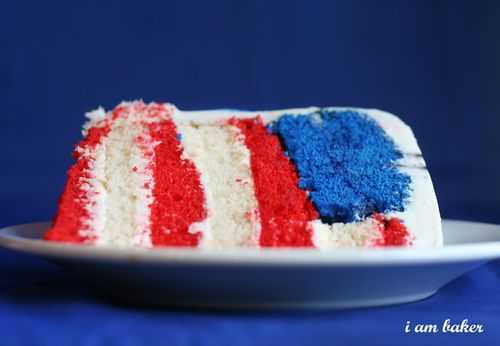 How funny I had no idea you had a post for this already, I just based mine off of the rainbow checkerboard cake. 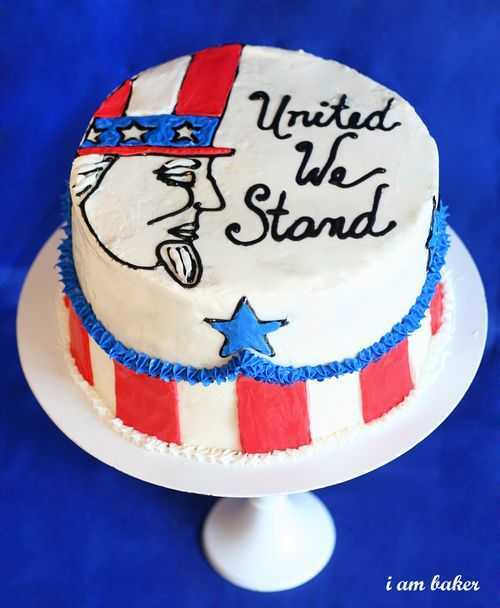 I love the decorations around the side of the cake. I need to work on my frosting skills more. 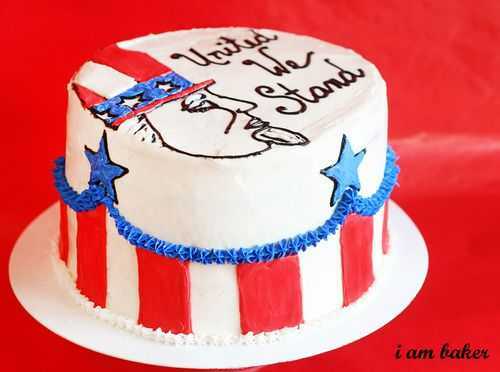 I dont think you need to work on your frosting more… I just think you need to bake more cakes! I love your creativity; inside and out! You have such a wonderful eye for decorating and are so fun! 🙂 Keep it up girl!